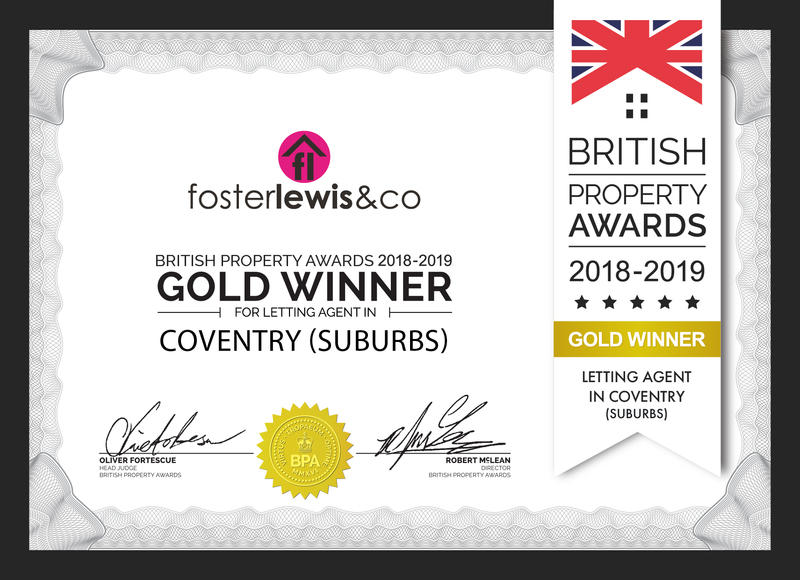 We are very excited to share that we have just won The British Property Lettings Award for Coventry (Suburbs). Our team performed outstandingly throughout the extensive judging period, which focused on customer service levels. We have now been shortlisted for a number of national awards which will be announced early next year. “We are so proud to be recognised for our efforts with this award and it gives us even further incentive to maintain the highest standards possible. The team personally mystery shops every estate agent against a set of 25 criteria to obtain a balanced overview of their customer service levels. The judging criteria are periods to ensure that agents have been rigorously and fairly judged. customer service levels that they have demonstrated across a prolonged period of time. Winning agents should be proud that their customer service levels provide a benchmark for their local, regional and national competition”.